The gate rings and I rush to answer because I am waiting on some packages. It is something about packages that get me all excited, “I’m just saying.” (LOL) I opened the door, and sure enough, it is my items that I ordered from ZARA. I rip open the boxes like a child at Christmas and find everything I requested from the site. I mean I tore those boxes up. I should have just retrieved some scissors to cut the tape, but that would have taken a little longer than I wanted to wait. I know you understand what I am communicating. Some of you use your brand new fifty-dollar nails or your nice kitchen knives. After I put the boxes in a dysfunctional state, I proceeded to put them out for trash. Stop trying to figure out where I am going with this (LOL). No, I did not leave anything in the box, and yes, I can fit it all, so I don’t have to return anything. Okay, moving right along. To get them out for trash I have to go through the door that leads to the garage. I had three big boxes that I was struggling with to carry. Why I did not put one box down, I have no idea. Probably too lazy to go back for several trips. You know women think we can tote it all at one time. We go to the grocery store with our babies in a car seat and come out with twenty bags carrying it all in the house at the same time. We are superwomen! I proceeded to go out the door with all three large boxes, and I found myself stuck. The door was not wide enough for me and the boxes to go through. Now don’t judge me but I would not drop any of the boxes. I looked like a fool struggling to push through a door that would not work with me. I turned around to see if my husband was there looking at me and shaking his head. Well, he was not, but I know he will after he reads this. I promise you I tried to squeeze through that door longer than any person in their right mind. Then, can you just say then? Then it hit me that if I would just drop one or two of the boxes, I would fit through the door. Brilliant right! I didn’t need my husband to shake his head at me because I did enough shaking. Stay with me because here is where you come in. How many things are you trying to hold on to? This is precisely what most people do in their life journey. I remember Mike told me he was about to start pastoring and I almost passed out because we were still a mess in our marriage. I told him the only way we could start is if we were to fix this jacked up relationship. I looked at him and said, “I don’t do phony.” There was no way we could enter into the door God had for us holding on to our independence in a marriage. I was and still am determined not to allow Satan to steal from me. We made the decision to go God’s way so we could enjoy green pasture. Now God can use what was bad and now good to show others it can be done. How about you are you are trying to get into another place in life, and trying to hold on to stuff that has been destroyed? Carefully inspect the things in your life because some of the stuff serves you no more purpose. It may be some of your old friends or a stale, stinking attitude, or even the junky mind that you are presently functioning in. You know what you are clinching on to. Just open your hands, take a look, and reevaluate. The door is too small to get through with all that junk in your hand and with what God has placed in your heart so drop it all so you can get to where you want to go. God has something awesome for you on the other side of the door, but you will never see it if you don’t get rid of the dead weight. It or they served their purpose, now this is the time to drop, roll and run. You remember you learned that about fires. Please know I am not calling any person trash, but I am labeling some relationships as waste. What do you do with any waste? You discard it! Just Drop It and Go Through The Door! Thank you Dr. Dee Dee. That was so on time. Amen! Thank you Dr. DeeDee for always being real! That is what I have always admired about you and Apostle Mike. This blog was for me. It was just like sitting down with you, for a one on one. Thru the DOOR, I am gone! Thank you for this blog! Happy New Year!!! A tremendous word this morning indeed! Something that sounds so simple to the natural ear…. yet, many of us struggle with the thought or idea of ‘dropping’ or ‘leaving’ something behind in order to succeed, excel. I have found that it is truly things that we hold on to that get us stuck and out of the way of the blessings that God has in store for us. Thank you Dr. Dee Dee for confirmation. Again, your Word from God I receive! I will share with my family and friends. This is great. I had to repent and drop a certain situation that I had been holding onto for a long time. The Spirit told me to drop it right then, to accept God’s forgiveness and live the rest of my life resting in Jesus. To forget about the past so He could do more in my life than I could ever imagine. So thank you for this confirmation. I have already done what He has instructed. Not believing that God has forgiven all of our sins, if we ask, holds back our blessings from God. Be Blessed! Hello Dr. Dee Dee, I can totally relate to the expectation of receiving that package, only for it not to fit. (Into God’s life with me). You would think to ask your self why don’t you just drop it? I would say dropping the past is uncomfortable, fear and the list goes on.*Distractions!!! It’s like the dead weight of life that has been weighing us down. Although, it is way too heavy to carry, so just drop it. Sometimes, you think well,I did drop this or that, but I’m going to hold on to this. When you trust God, you will drop Everything. God, can and will not bless no mess. We must totally surrender to His will and way! “I surrender It All To You LORD”!!! Happy New year! Thrilled you are blogging again.Thanks for the encouragement.I absolutely love your “writing voice.” You are such a gift. Oh, next time break those boxes down and fold them up, but you are right we are trying to carry some things we need to just drop. Thank You that was a good word.. Thank you Dr. Dee Dee for this on time message. I laughed at your description of what happened because I could see myself doing the exact same thing. Then I had to say “ouch” because there are people/things that have served their purpose, and now it is time for me to drop, roll and run. Excellent Word!!! Thank you Dr. Dee Dee!! Dr. Deedee, Wow, I was just reading about surrendering last night, this is further confirmation to introspect and evaluate those things I need to let go of. I so love and appreciate you! This was a great word. My thoughts have served their purpose. I will be and do what God has called me to do. YELLING FROM NORTH CAROLINA….THANK YOU DEE DEE FREEMAN PERFECT WORD FOR PERFECT TIME! Thank you Dr. Dee Dee, this was confirmation for me. It’s funny that you said that. Well not really funny but I have been struggling with those same thoughts for some time now. Thanks for that encouraging word Dr. Amen!!! Awesome and timely message. Love you!! Praise God! I receive this word. I am always looking for the perfect time. I need God’s timing! I’ve been praying about how to address my parents toxic mindsets and behaviors. I would call/ text to tell them that I love them and to say hello, but would get no response. Your message is confirmed what God has been telling me to do…. walk away. Thank you for sharing this and thank you for your patience to His will. Thanks for the words of wisdom and inspiration. This was truely a word for me at this time. Amen! So true! Out with the old, and in with the new. Walking into new things this year! Thanks for the post and words of encouragement! I am learning to trust God’s plan for my life and drop all boxes or distractions that prevents me from walking by faith and the word of God! I am elated that you are starting to post again…I appreciate the wisdom and value that’s added when reading your blogs. Shalom & Love! Thanks Dr. Dee Dee that was the confirmation I was waiting on. I am on my way……! I was just about to give up and walk away. But GOD has another plan for me. Thank you Dr. Dee Dee, I know that was God. I thank God for using the simple things in our lives sometimes to show just how BIG HE IS!!! That was good Dr Dee !!! Thank you for this encouraging word as I let go of everything that will keep me from going through the door God has for me in this season. Thanks so much Dr DeeDee. It’s time to throw out the trash, one box at a time. Iam clearly seeing that I am the box! Wanting to go through the door but the present obstacle is ME. (Transparent moment) I see God given potential in everyone else but myself. Knowing Holy Spirit is telling me to move. 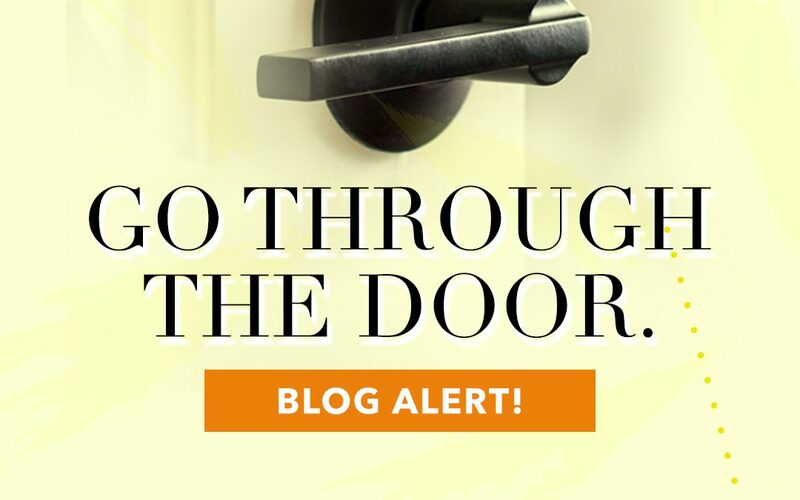 Dr Dee Dee thank you from many fronts with this blog, transparency, describing me in terms why make things difficult when God has given us options, and keeping it real. I admire that in you. Thank you Dr Dee Dee for the words that you have spoken. The encouragement to let it go and press towards the mark. I will walk with my head up and not look back, because I know that I am not alone; God is with me. This is the year to build and be doers of the word. To God the glory. Thanks again. This blog was truly Awesome! I have been de-cluttering my closets of shoes, clothes, housewares, just unneeded excess. However, your words of encouragement and your recent experience reminds me to also focus on de-cluttering my personal & Spiritual life as well as on-going relationships as it sometimes has me Stuck when all I need do is Let em go! Your words of encouragement and the wisdom you’ve gained from your experience in “da boxes”. It not only helps me with de-cluttering my closets of excess clothing, shoes, housewares, etc. I realize, now, the same is true concerning my Spiritual and personal lives as well as on-going relationships–don’t stay STUCK! Listen to Holy Spirit, let it/them go…….. Happy Great New Year!! Thank you for the Word and you being you, 🙂 . What an on time word! Stop, drop& roll. Thank you Dr. DeeDee for the reminder to let it / them go! So true… Yes, I’m going through the door this year. Happy New Year!! Ok Dr.DeeDee you are asking me a question and bring some attention to getting rid of some junk😳 Well my would be “procrastination” 😫 I’m willing and trying to work on this issue. But know you have called a sister out! I will have to get up and do something about this to make my life easier. Thank you so much Dr. DeeDee. I am always blessed by the Word that you share and the illustrations. Thank you, so much Dr. DeeDee. I receive this message. A very good word and something for me to truly take to heart. It is time to re-evaluate somethings. Time to let go and move forward. Thank you Dr DeeDee. This came after the fact that I already made that decision a few months ago God has been dealing with me about finding my own voice and boy did I it sounds amazing to me life sound like freedom and no one can take it away,life is better,better with him(Holyspirit) YASSSSSSSSSSSSSSSSSSSSSSSSSSSSSSSSSSSSSSSSSSSSS. Dr. Dee Dee that was an on time word and confirmation on so many levels. I appreciate your willingness to share. Now that’s good stuff. I love the way you and Apostle can take anything and teach it! I appreciate you, my dear sister, taking our everyday walking around life and teaching us the spiritual and natural truth. Awesomesauce!!!! 🙂 In order to let go of what’s in your hand, you must make the choice and believe that what Jesus has already provided is for you and much better than what you’re holding onto. Great day, Sis in Christ! I checked to see whether my suspicion would prove true that you would not post my comment bearing link to my book speaking of forgiveness being key! Why not? And, pls do not say b/c God said or did not feel led by Spirit or some other Christian jargon thrown together blaming God, laugh. As a member, I also wanted to meet with you or someone regarding having my book sold through the store??? I hope that you would reconsider and share on your blog that is always open for open-comment as well as that you do enjoy the empowering read yourself unto God’s glory, Amen. Enjoy the day!